I’m really, really proud of this deck. The design is really unconventional, yet it totally works! Try it yourself and see. A4*. 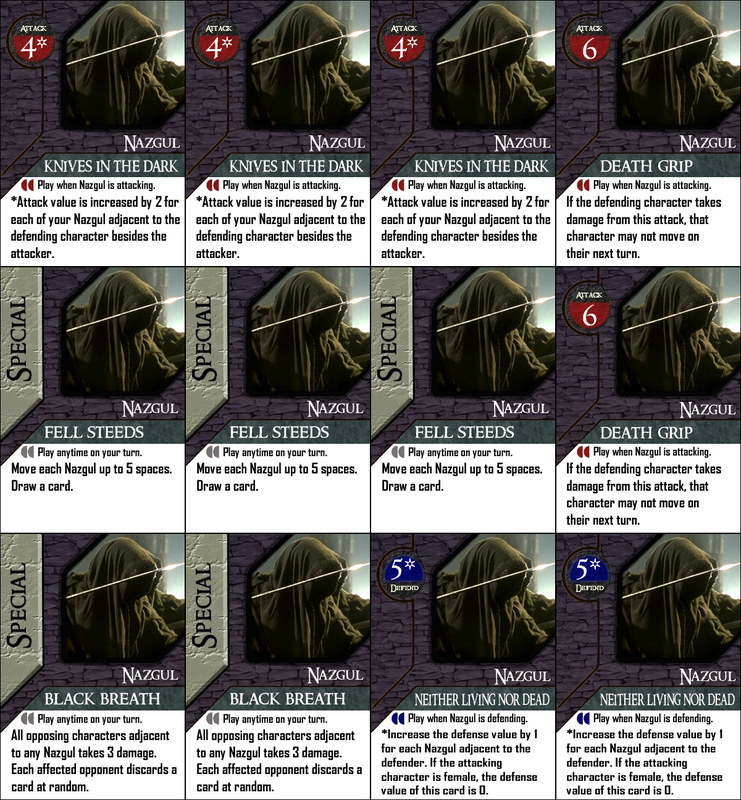 *Attack value is increased by 2 for each of your Nazgul adjacent to the defending character besides the attacker. A6. If the defending character takes damage from this attack, that character may not move on his/her next turn. 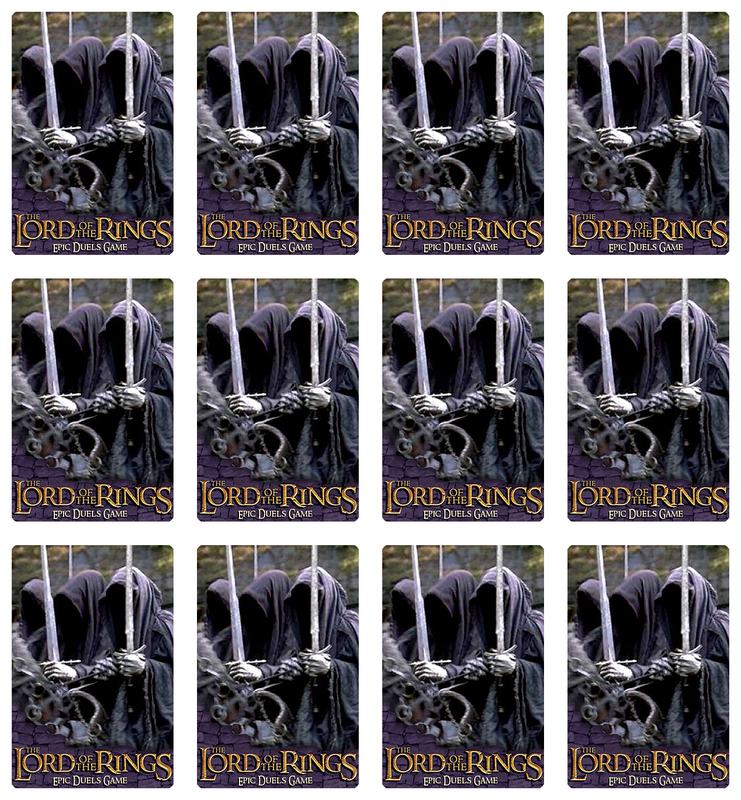 Move each Nazgul up to 5 spaces. Draw a card. All opposing characters adjacent to any Nazgul takes 3 damage. 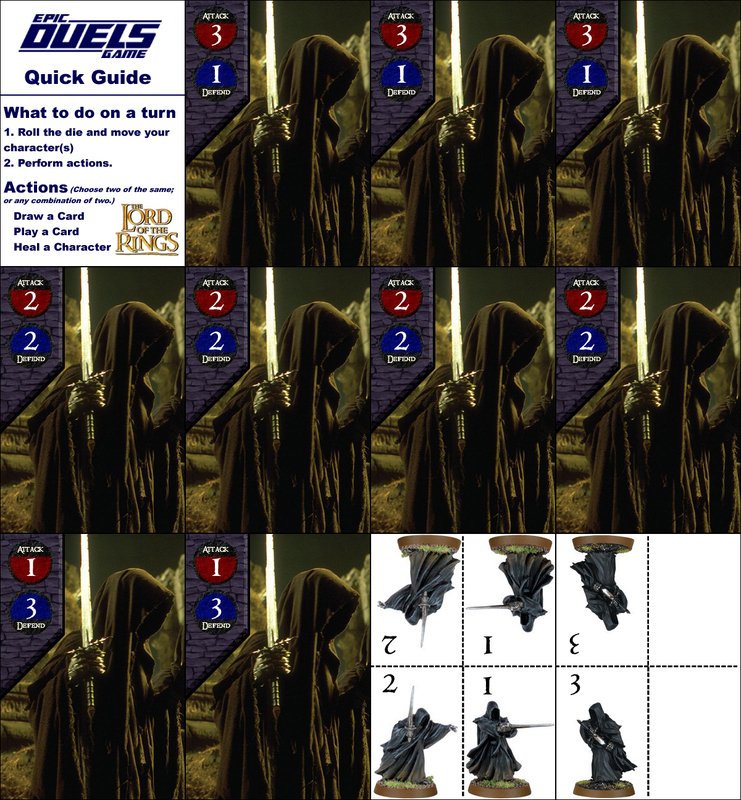 Each affected opponent discards a card at random. D5*. 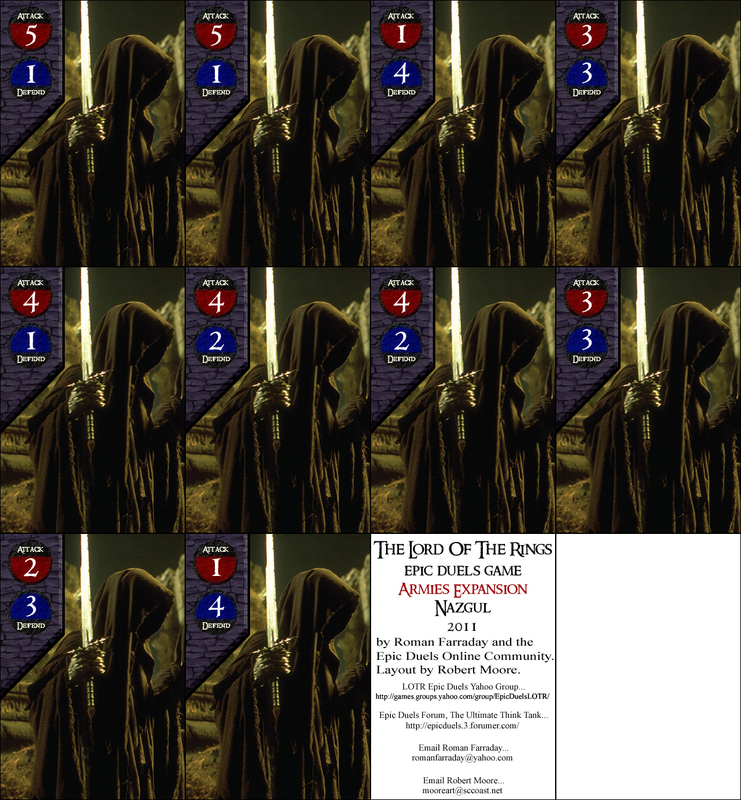 Increase the defense value by 1 for each Nazgul adjacent to the defender. If the attacking character is female, the defense value of this card is 0. Notes: You just have to play it because it isn’t like anything else, but FreakyMutantMan has remarked that his group has a lot of fun with this deck. Also, Robert’s battle card for them is a work of art in itself. I’m only not sure if I should allow them to all be minors, or if they should all be majors, but probably not both. For now, consider them all minors, subject to minor-affecting cards.